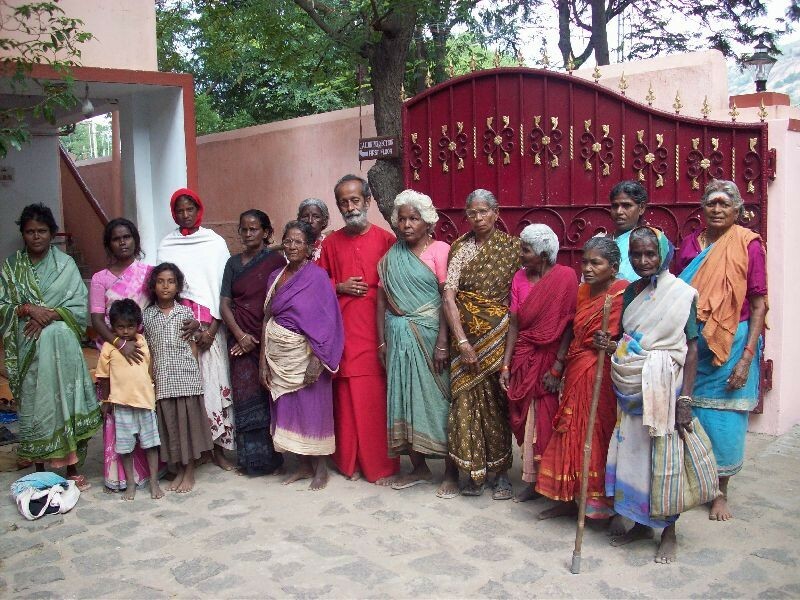 In December 2008 the first 13 widow’s beggars were registered in the court of the office of Shanthimalai Handicrafts Development Society, so that a small identity card could be provided with which they could get a small pension of 300 Rupees (≈ $ 6 ) every month. With this identity card they also received free medical care in the Shanthimalai Hospital. Since the beginning of our support system our social worker has been busy to help the widows to apply for their legally guaranteed widow pension of the government. Most of our widows get this pension of 1000 Rupees (≈ $ 19 ) now. There is still much to do. Please do not stop providing help and support, which is so much needed and appreciated by the poorest of the poor, who are of course widows and destitute women and their children. We also started training programms for handicraft jobs, so that they will be able to support themselves and their children. Your kind donations enabled us to build the second house for 13 more old widows and homeless women on the same site, so that 25 beds are now available.